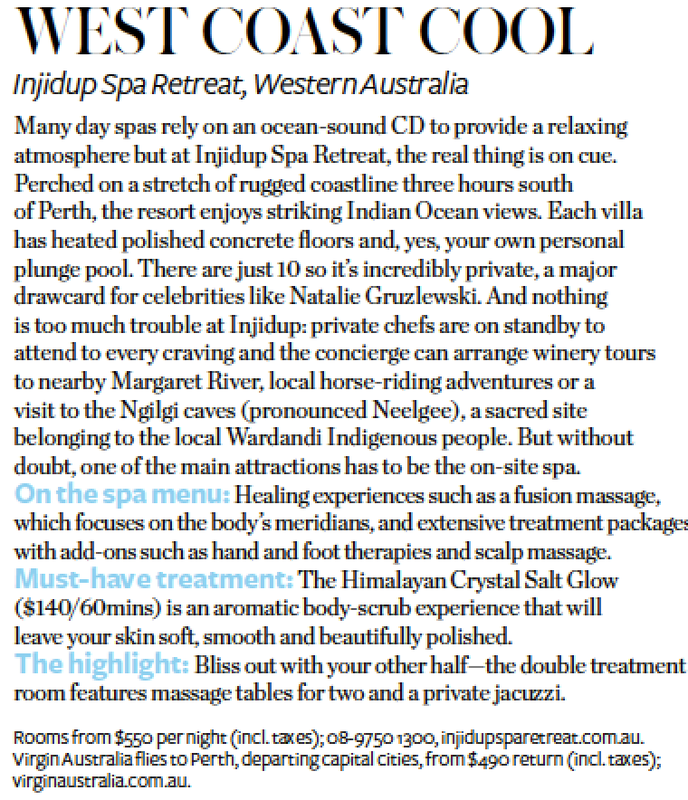 THE AUSTRALIAN asked for some of my favourite places to spa. Here's what I came up with. VOGUE : Avoid the awkward moments with this guide to spa and beautician etiquette. Alice Birrell speaks to expert Spa Consultant, Naomi Gregory. Naomi Gregory, Head of Operations at SpaQ, at QT Hotels and Resorts speaks to VOGUE about what you should know about your spa appointment (and what you should be asking for if you aren’t already). 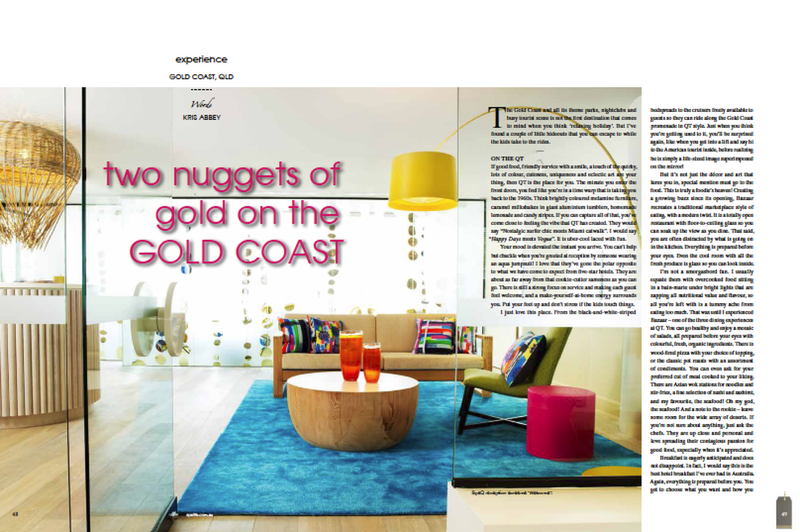 The Far North's latest spa at Port Douglas refects the vibrancy of the town's newest hotel group, QT Hotels and Resorts. Located at QT Port Douglas, spaQ is described as "vibrant, fresh, modern and relaxing" by development and operations manager Naomi Gregory. It extends the family of spaQ which includes the Gold Coast and Sydney. "Rather than insisting on a pre-selection of treatments, spaQ encourages guests to reserve a block of time and not make a treatment selection until they've used the therapist's knowledge to fit in with the groove of the individual," Ms Gregory said. 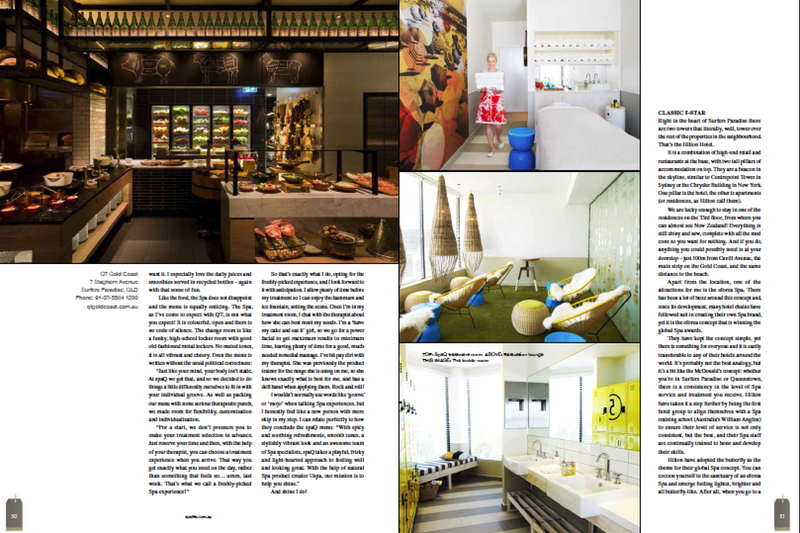 "SpaQ Port Douglas cleverly uses design, colour and quirky features to mirror the vibrant beach-chic personality of Port Douglas." Ms Gregory said. The spa features an understated canvas of muted tones and complimented with splashes of orange, yellow. blue and green. "The effect is striking and cheerful yet still manages to create a tranquil feel and is the ideal platform to relax," she said. The spa serves La Gaia teas, including an exclusive spaQ blend, served in quirky, mis-matched cups. Snug sheepskin rugs adorn the relaxation lounge chairs and the team is decked out in light and bright yellow and red bamboo-print uniforms. The look of the spa is definitely light-hearted and fun and so it was very important to fill tile space with a quality guest experience and to deliver that in a fresh way," Ms Gregory said. "We played up the designer concept by including an accessories section on the menu and introduced a consultative and personalised approach with the freshly picked spa experience." SpaQ facilities include five spacious treatment rooms with one dedicated to couples, a reception and retail area, male and female change rooms and a relaxation lounge. The menu features four different massages, a range of facials and body treatments by USpa, an accessories section with a creative range of 30 minute add on treatments, organic sunless tanning and four signature packages including The Weekend Warrior and The Plush Princess. Hotels and Resorts is the concept of AHL, one of Australia's premier entertainment, hospitality, tourism and leisure companies. 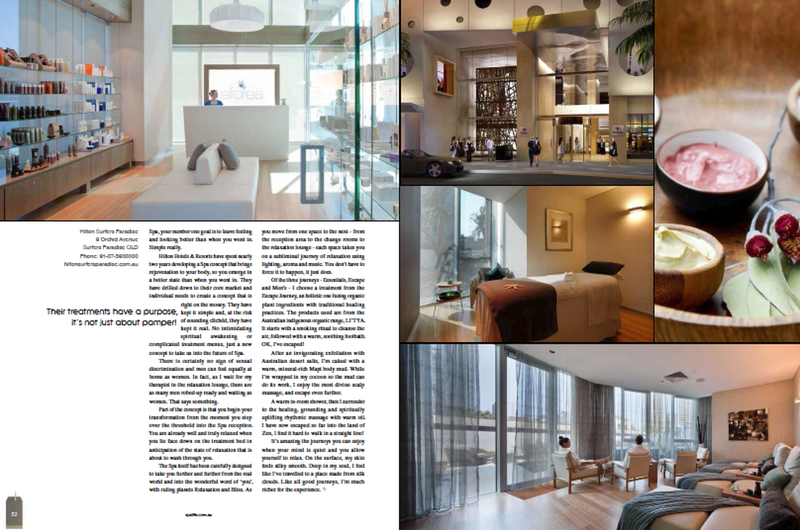 Kris Abbey from Spa Life visited the Gold Coast late last year and stayed at QT Gold Coast and Hilton Surfers Paradise. January 2013 in stores now, thanks InStyle.